The Supreme Court has directed all states to sterilize and vaccinate stray dogs under supervision of Animal Welfare Board of India using provisions of the Prevention of Cruelty to Animals Act for controlling its population and rabies. A bench headed by Justice Dipak Misra however remained silent on the question of culling of nuisance-causing dogs. The bench took note of the submission of amicus curiae and senior lawyer Dushyant Dave that though the Act and Rules provide for sterilization of dogs so that safety of the human beings is not jeopardized, yet they are not being sterilized by the authorities, either for lack of funds or due to apathy. “Regard being had to the provisions governing the field, we direct that the dogs which are required to be sterilized or vaccinated, the procedure shall be carried out in accordance with the Act and Rules and no organization shall create any kind of obstacle or impediment in the same. It shall be the obligation of the Board to oversee that this is being carried out and no obstructions are created in this regard from any quarter”, said the bench headed by justict Dipak Misra. The court also asked the state governments to file their reports, indicating compliance of provisions of the Act regarding stray dogs, with the Animal Welfare Board within six weeks. The Board, in turn, would consider the reports and prepare a module to deal the issue, the bench said, adding the Board will have to file their response four weeks after it gets the replies of states. During the hearing, Dave said “ We will have to balance the things as there are instances of deaths due to dog bites”. Dave also said he was yet to come across a news where animal-loving NGOs have come forward to help of victims of dog bites and hence, the need of the hour to strike a balance. “The stray dogs are healthy and create rucus”, he said and gave example of stray dogs roaming around in Lodhi Garden here. Another senior advocate Shekhar Naphade, appearing for a Maharashtra municipality, said the NGOs receive funds, do not do anything and only complain. The NGOs should be asked to give accounts of their works done for the welfare of such animals, he said. The bench has now fixed a batch of petitions on the issue of stray dogs for final hearing on July 12. 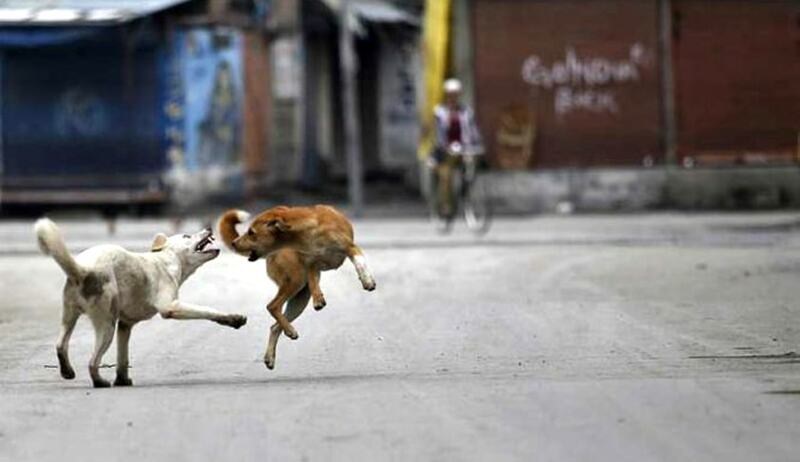 The apex court is hearing a batch of appeals including those filed by Animal Welfare Board and dog lovers against the decisions of some high courts including the Bombay High Court and Kerala High Court to allow municipal authorities to deal with the stray dogs menace. In September 2015, shocked by the move by Kerala government to eliminate troublesome stray dogs, the Animal Welfare Board had approached the Supreme Court challenging a 2006 order of the Kerala High Court which allowed it. Though the bench refused to stay the order, it assured a detailed hearing by saying that it would tag the petition along with a similar one filed by the Board challenging January 23, 2009 order of the Bombay High Court that allowed culling of dogs. Justice Misra has said that the court’s task would be to end the “anomaly and incongruity” between different rules which existed on the issue. The bench had noted that the municipal act in several states gave commissioner the discretion to exterminate the dogs on receiving a complaint. But the Central act suggested something different. Senior lawyer T R Andhyarujina had submitted before the court that in such a situation the central act has to hold the field and the discretion given to the municipal commissioner will have to be removed. But the debate continues.